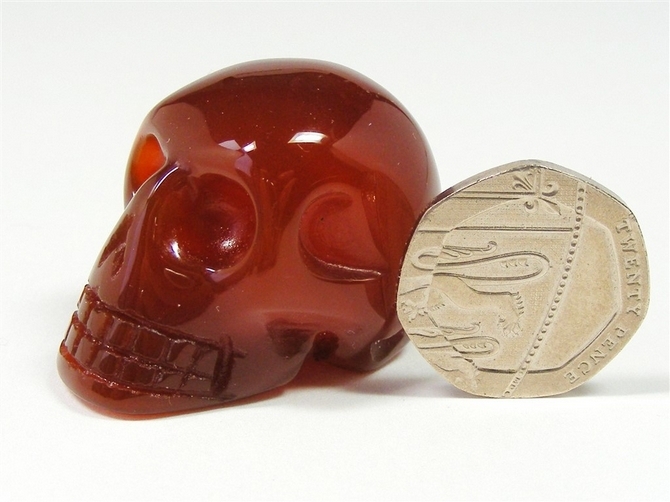 Lovely carving of a skull, cut and polished from a great piece of orange Carnelian. 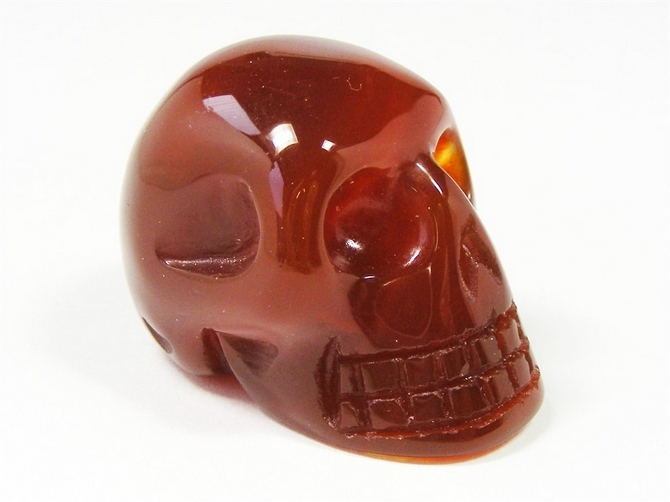 Carnelian increases our sense of physical energy and personal power. It is said to help with neuralgia, rheumatism, arthritis, gall stones, kidney stones, pollen allergies and colds. It may also help with lower back problems and problems with the spleen and pancreas. 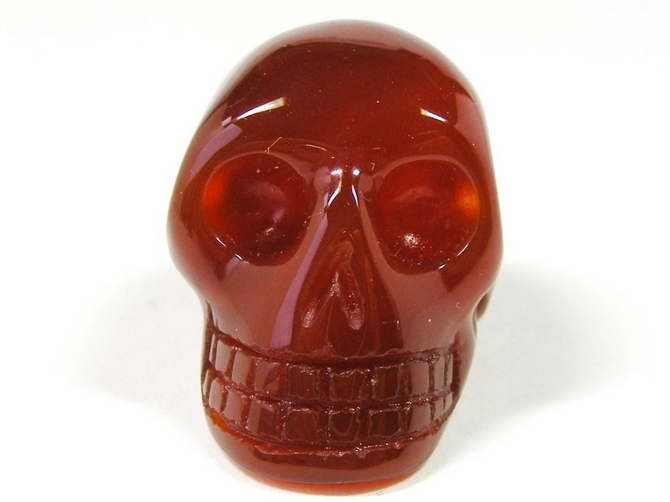 Carnelian is a motivational and stimulating stone. It gives us energy and dispels fatigue, apathy and lethargy. It helps us to focus on the task at hand, bringing us clarity of mind and stopping us from worrying about the unimportant things in life. It enhances our levels of creativity, especially for those involved in dramatic pursuits. Carnelian improves our concentration thereby encouraging us to question and enquire, making it a good stone to study with. It eases feelings of anger, frustration, jealousy, envy and resentment. It engenders positive feelings of courage and compassion. Carnelian is a good stone for bringing daydreamers, or those with wandering thoughts, back into reality. 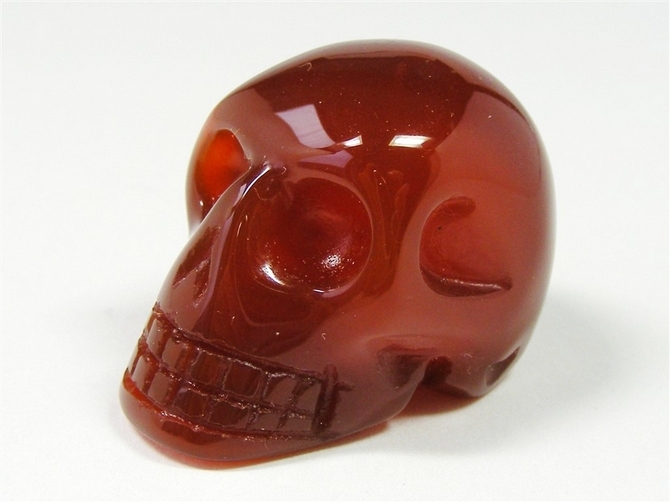 Carnelian helps us to better see and understand the eternal cycle of life. It also helps to remove any unwanted thoughts that may enter our mind while we are meditating.